Here you can finally find a complete and exhaustive list of cTrader brokers, check back for regular updates or subscribe to our mailing list for notifications about new cTrader brokers and broker updates. We try to keep this list as up to date as possible and does include unreviewed brokers. The purpose of this list is to show you the full list of active cTrader brokers. Tradeview Markets joined the cTrader club in 2015. Unlike most of the Forex and CFD brokers out there, Tradeview Markets adopt a personal approach to managing relationships with their clients, as opposed to cost making automation. This one-on-one personal approach adds to the value and experience when trading Forex and CFDs with Tradeview. They offer an a la carte menu of trading platforms to cater to each of their clients because that’s who they are! Because FxPro was the first broker ever to offer the cTrader platform, this fact puts them in a unique position, they undoubtedly have the most experience when it comes to offering cTrader, since 2011 it’s been part of their core offering, that experience is what puts them on our short list. FxPro has a very user-friendly client area to manage your trading accounts, read our complete review to find out why FxPro is one of our favourite cTrader brokers. Pepperstone is one of the early adopters of the cTrader platform having launched it in 2013. In general, Pepperstone as a company are receptive to new products and solutions that they can offer to improve the experience of their clients, we see this as a key point that separates Pepperstone from the pack. 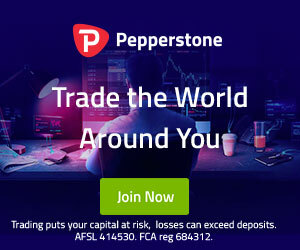 Read our in-depth review of Pepperstone to see how they compare against other cTrader brokers. The table below contains featured cTrader brokers reviewed by us. Use the links to read the review or visit their site. Here is the complete list of cTrader Brokers for your convenience, they listed in alphabetical order. They have not been reveiwed or endorsed by bestctraderbrokers.com.